For me, Deep Purple proved themselves big time just a few weeks ago at Wacken. I was impressed by these old geezers' ability to walk on stage and just do their thing in front of a metal audience. Their 'Now What?!' album from earlier this year is a convincing collection of surprisingly progressive hard rock, and one I've been coming back to quite often over the past months. The choice of Vincent Price as a single makes sense. It's one of the shorter tracks and therefore fit for radio, plus it has a lot of atmosphere. It's a cool homage to a film genre, and let's not dwell too much on this, as the song itself is old news. It's more interesting to talk about the rest of the material on the disc: First Signs of Madness is a hitherto unreleased track, and in my humble opinion it doesn't live up to the standard. It's so to speak middle of the road material for Purple, rock with a lot of boogie, and not at all Purple when their at their best. The Well-dressed Guitar, on the other hand, from the 'Bananas' sessions, is one of those instances where Deep Purple excel in making classical music and rock meet. An absolutely wonderful piece. 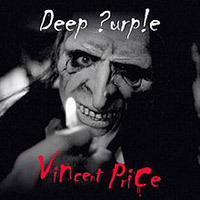 Wrong Man from 'Rapture from the Deep' in a live version is also a solid piece of heavy rock - actually, it doesn't get much more heavy from Purple. Nice one. Lastly, the video for Vincent Price is a welcome and hilarious addition to the disc. Definitely something for the boys. All in all another approved release by the stomping dinosaurs Deep Purple - even if First Sign of Madness is a bit superfluous.